If you have a tank to pump up you typically use a Schrader Valve. Just like the valve on a car or bicycle tire, lets you fill it up then disconnect from the source. 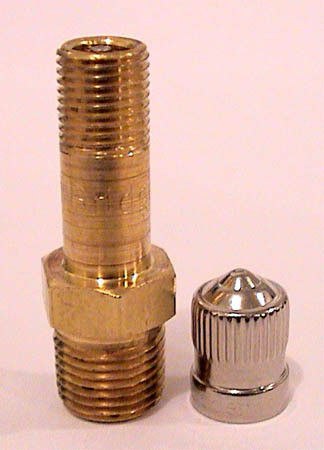 Solid brass body, 1/8" NPT standard thread to thread directly into plastic if desired. Stainless Steel cap with Nitrile gasket.